Characteristics: Spring wire eye needles. 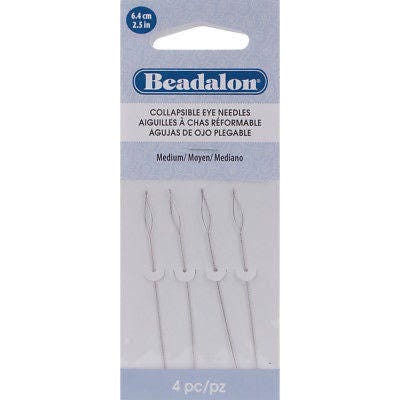 They are kink resistant and spring back into shape as bead is pulled through the eye. Additional Information: due to the spring nature of the eye, it is ideal for many sizes of cord and twine. Thanks for such fast shipping.